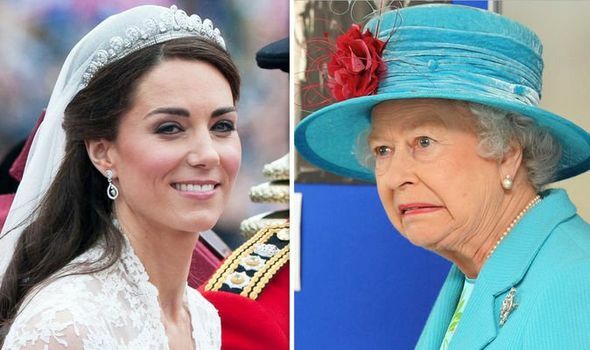 KATE MIDDLETON’s wedding dress provoked an unexpected reaction from the Queen when it went on display at Buckingham Palace, as the monarch described the ghost-like appearance as “horrible”, a documentary claims. The Duke and Duchess of Cambridge tied the knot almost eight years ago in a lavish ceremony at Westminster Abbey, with over 20 million people tuning in to watch the couple say their vows. Kate wore a stunning vintage-inspired wedding dress designed by Sarah Burton for Alexander McQueen, which featured a lace corset and floral lace sleeves. The iconic ivory dress had a Victorian-style bustle at the back and soft pleats leading to a satin train just under three metres in length. Kate’s silk gown and train incorporated intricate lace appliquéd and was lovingly carried by her sister and chief bridesmaid Pippa Middleton in the cathedral. The beautiful dress reportedly cost £250,000 and has inspired many replicas since. However, when it first went on display at Buckingham Palace after Kate and William’s first royal tour in Canada, the Queen did not seem too pleased with the gown. 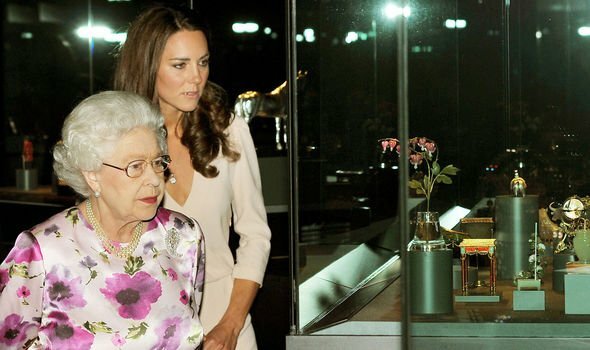 2012 documentary “William and Kate: The First Year” reveals how the Queen and the Duchess were given a sneak preview of the exhibition. 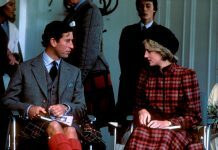 Royal author Tim Ewart notes how the monarch was merely talking about “the way it was displayed”, as the headless mannequin had a ghost-like appearance. Meghan Markle’s wedding dress also went on display following her nuptials to Prince Harry. “A Royal Wedding: The Duke and Duchess of Sussex” exhibition opened in Windsor Castle’s state apartments on October 26. 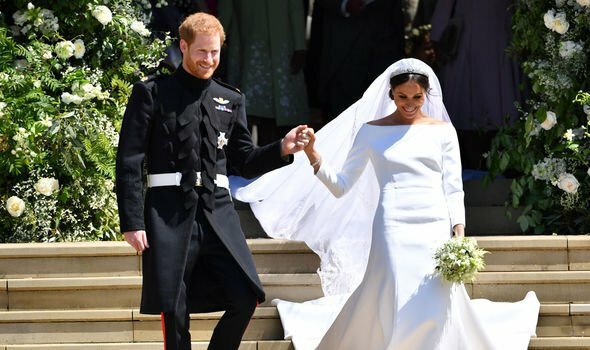 It showed Meghan’s elegant bridal gown, designed by Clare Waight Keller for Givenchy, alongside her veil and the diamond and platinum tiara gifted to the bride by the Queen. 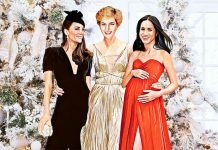 Meghan and the designer worked closely on the design of the dress. It was made from double-bonded silk cady with an underskirt in triple silk organza. 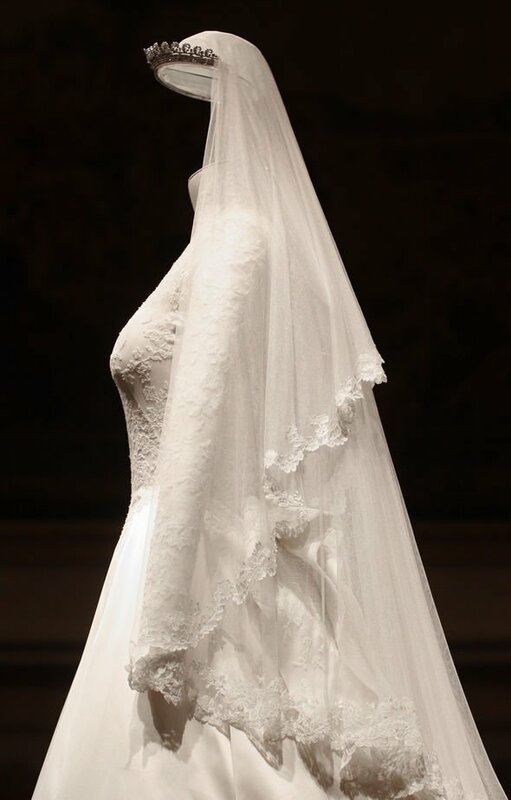 One of the main features of the dress is the boat neckline bodice and the five-metre-long veil, made from silk tulle and embroidered with the flora of the 53 countries of the Commonwealth. The exhibition closed on January 6, but will transfer to the Palace of Holyroodhouse in Edinburgh from June 14 to October 6.